Universitas Kristen Petra Visited HTM BINUS INTERNATIONAL for a Comparative Study. 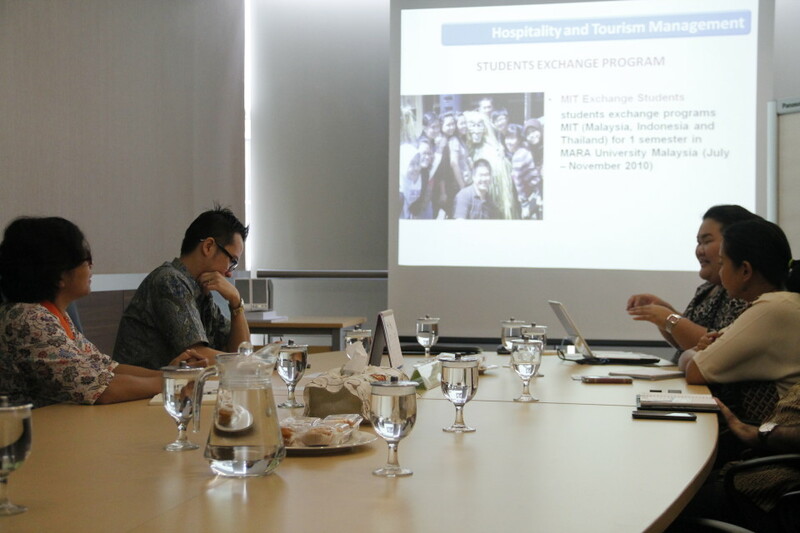 In June 11, 2015, representatives from Universitas Kristen Petra had the opportunity to visit BINUS INTERNATIONAL (HTM-BI) Hospitality and Tourism Management study programme. This visit was part of the Surabayan campus’ comparative study for the purpose of starting its own Hospitality and Tourism international study programme. During the visit, both head of programme represented Petra, namely Rachmat Sugianto, SE, MA, Head of Tourism and Leisure Management Program dan Serli Wijaya, SE, M.Bus, Ph.D., Head of Hotel Management Program. 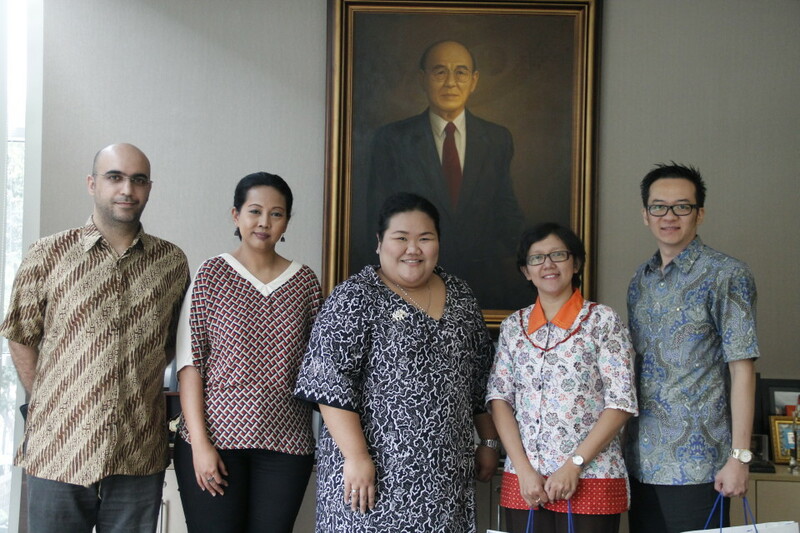 They met with HTM-BI’s representative team, led by Yuliana, Head of HTM Programme. Discussion between both representatives dominated the meeting. 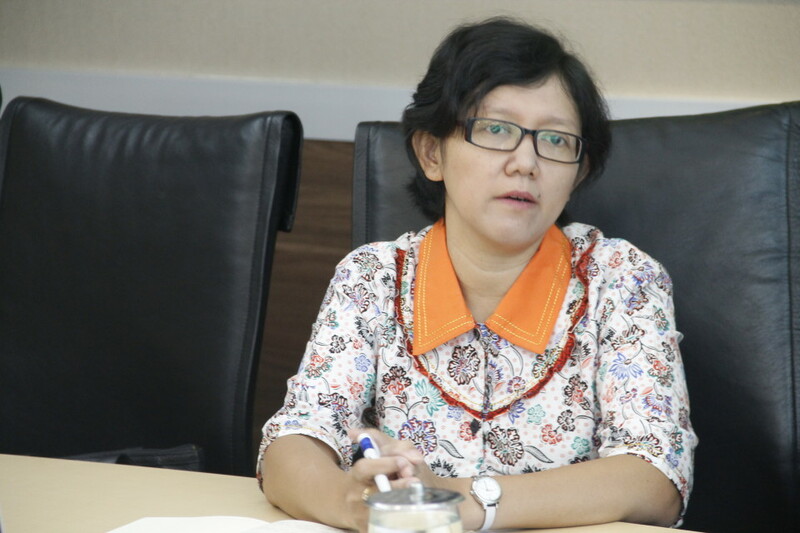 Hosting the event is Yuliana who provided full description of the study programme she is leading, starting from its beginning in the Joseph Wibowo Center until today. To make the most of this opportunity, Petra representatives posed questions about BI’s success in running the programme. Petra representatives were not only impressed by BI’s capability to create HTM international programme, but also by its ways of management that enables the programme to develop until today. “We pay a visit with a purpose of ruling out the possibility of starting an HTM international programme in our campus. We believe, HTM-BI has a very good quality, therefore we decided to come here,” said Serli. 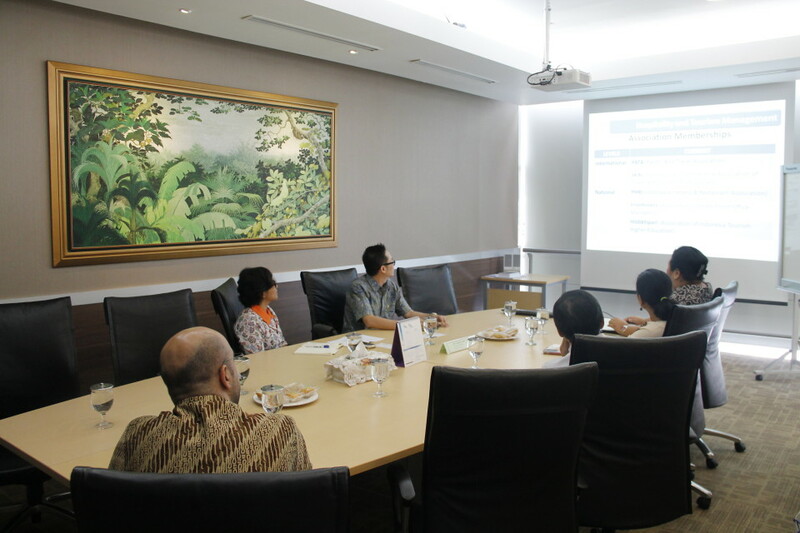 On the other side, Rachmat Sugianto stated that BI’s programme has a remarkably good quality. Rachmat expressed a feeling of delight when Serli and himself were welcomed with BI’s openness. “We have seen for ourselves, how good BI runs the programme,” he said. Rachmat added too that the university in which he is serving and himself are looking forward to cooperation between both educational institutions. Several points for their cooperation were adressed during discussion, for instance joint research between lecturers, university partnership, guest lecture, and exchange of students between the two universities. These intentions warmly responded by Yuliana on behalf of BI. According to her, the programme that she is leading is wide open to cooperation, in various forms, between educational institutions. Cooperation, especially in HTM programmes, between universities, amid an increase in Indonesia’s tourist industry, needs to be intensified. “That kind of cooperation will enable us to support Indonesia’s tourism development which is becoming a firm favourite. 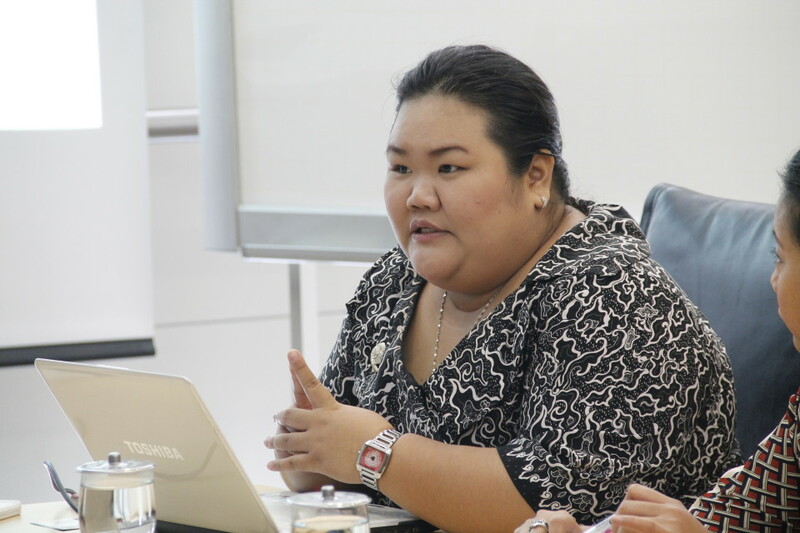 Therefore, we are very open to mutually learn with our Petra colleagues about the industry,” Yuliana stated.